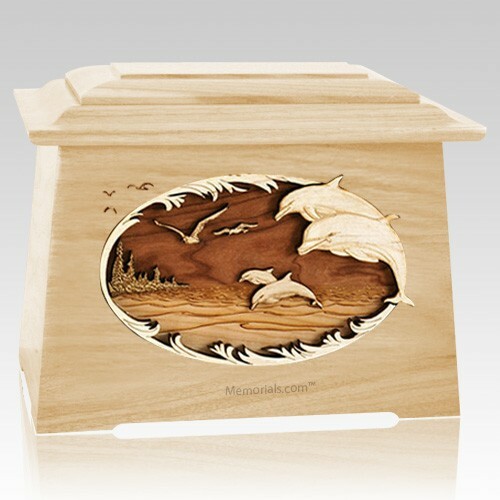 The Dolphins Aristocrat Cremation Urn is made from maple wood and finely crafted pieces featuring a breathtaking, realistic nature scene, expertly carved into three dimensions using up to 7 kinds of wood. There is no paint on this urn. This will be a beautiful family heirloom for generations to come. It is master crafted in the United States by some of the most talented woodworkers in the nation. "I thought the Cremation Urn was beautiful, and "knew" it was the perfect choice for my husband, who is terminally ill with pancreatic cancer. When it came, he approved of my choice 100%. The urn I ordered was even more beautiful than it appeared in its website photograph. I was most impressed that even though I received free shipping, my order was shipped out the same day it was placed and packaged very carefully with a "Fragile" sticker and double wrapping inside the packing box. 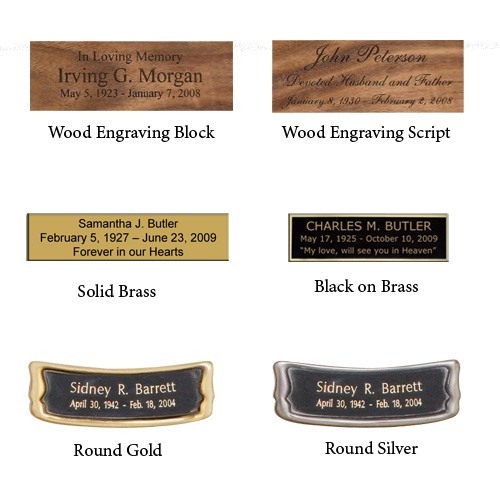 Although I hope not to have another loved one pass anytime soon, I would, without hesitation, order again from Memorials.com."